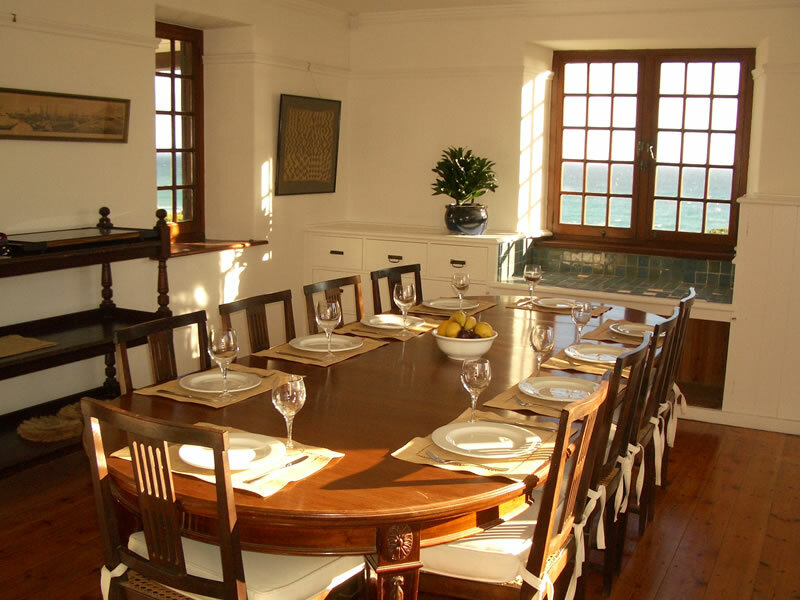 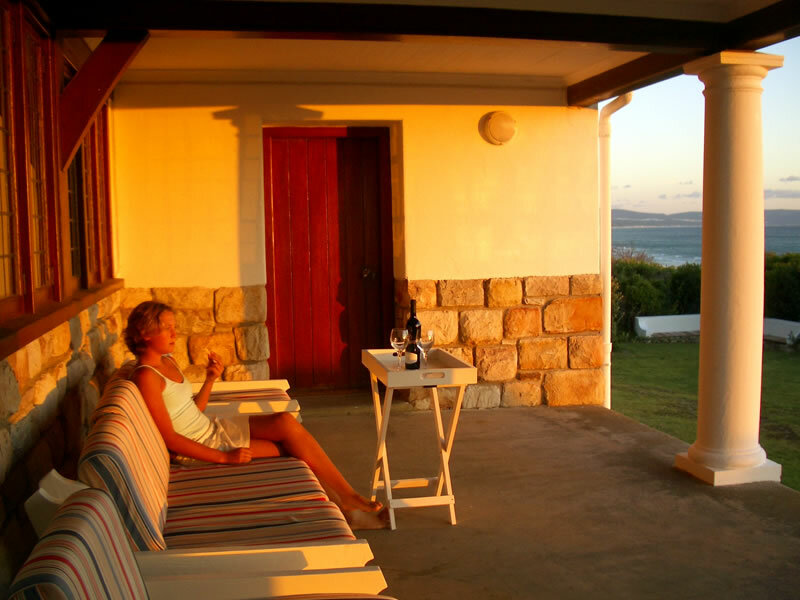 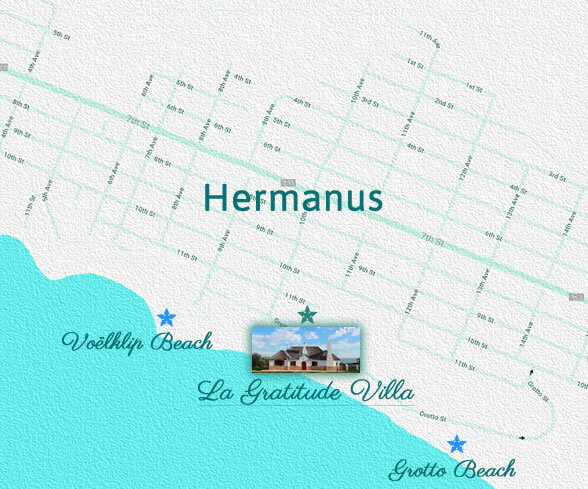 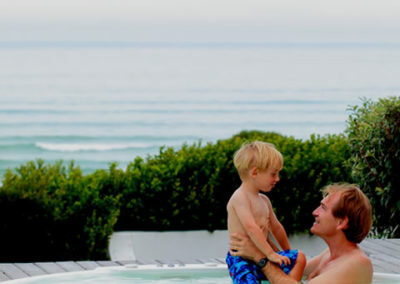 The Hermanus holiday home of one of the Cape’s most historically prominent families, La Gratitude, offers self-catering accommodation in South Africa that is superb with understated luxury and unsurpassed, uninterrupted views across Walker Bay. 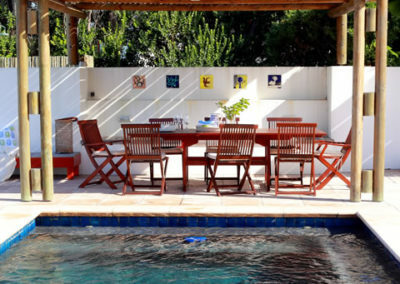 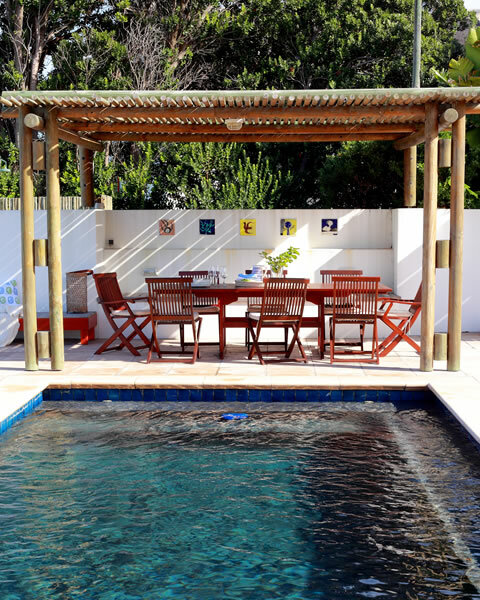 Pool, Jacuzzi, Braai area, ADSL Wireless Internet Access, Satellite TV, Stereo, TV and DVD/Video, spacious gardens. Bedroom 1 is on the sea side of the house and boasts a king-size bed that is the height of luxury. 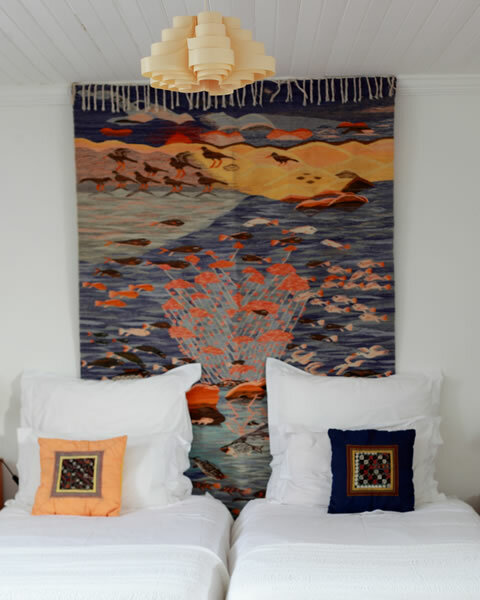 Fall asleep to the lulling rhythm of the waves. 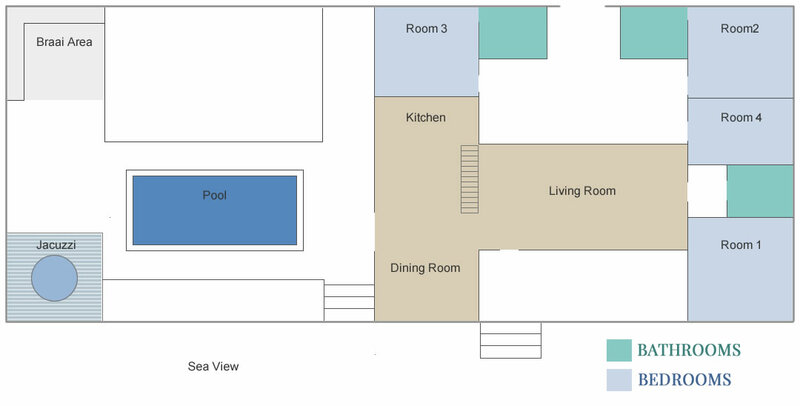 Bedroom 1 shares the newly refurbished bathroom (4267 x 5486) with Bedroom 4. Bedroom 4 has two comfortable twin beds with two entrances leading to either the courtyard or the living room. At the rear, is Bedroom 2 with a delightful en-suite bathroom that has been modernized with blue tiles and a clean finish. 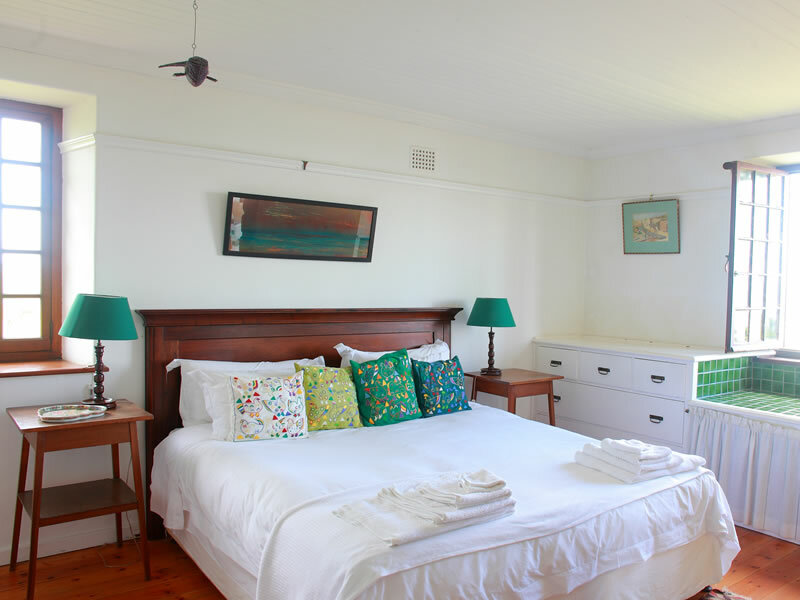 This king size bedroom looks back onto the mountains, and across the rolling grass towards the lagoon and the endless beach. 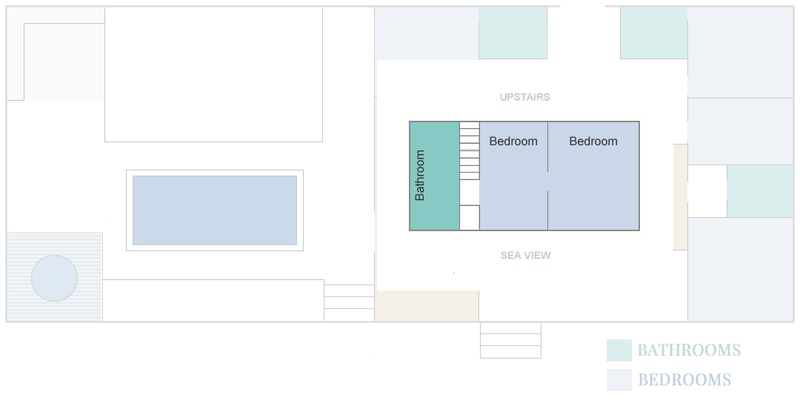 Bedroom 3 also has a remodelled blue and white en-suite bathroom. 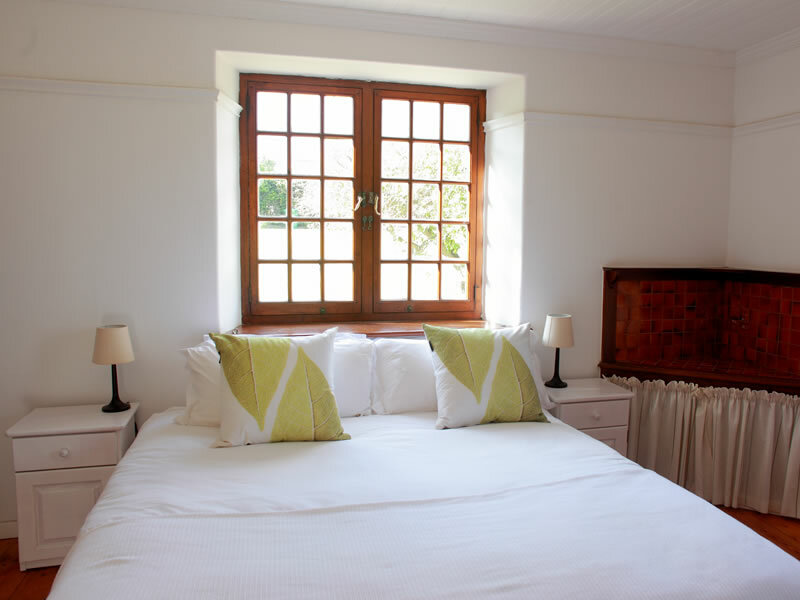 This twin bedroom captures all the action on the pool deck, braai area and Jacuzzi. 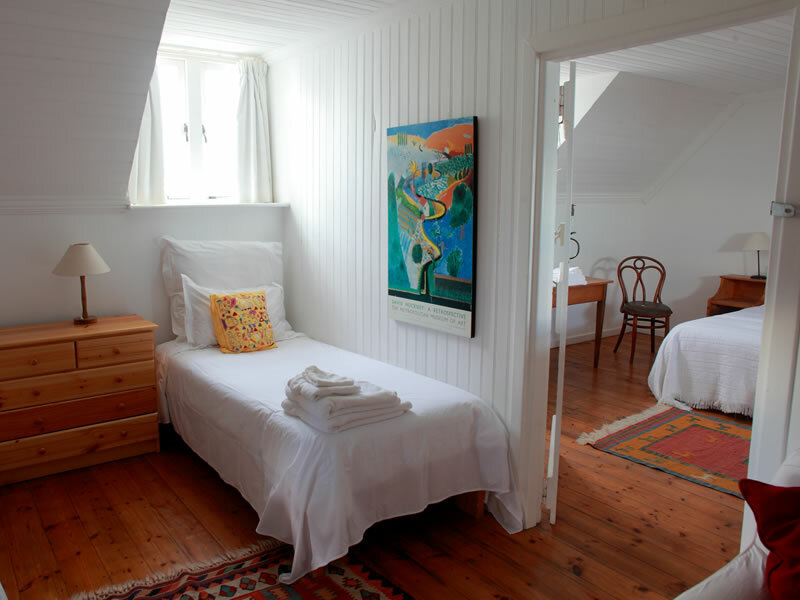 There is also accommodation in two upstairs inter-leading bedrooms with twin beds. These are reached from the kitchen. 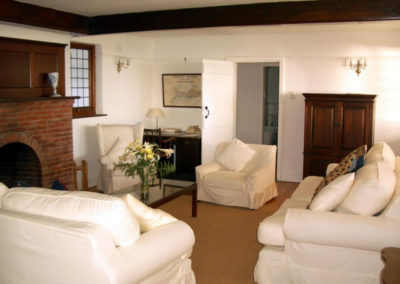 The accommodation in the upstairs suite has its own entertainment section. The living room is the comfortable and restful hub of the house with a large central fireplace and a tastefully discrete, yet thoroughly modern entertainment system. 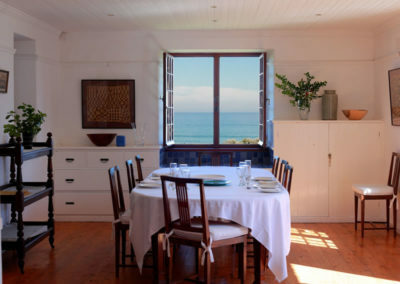 Looking out onto, and with direct access to, the outside entertainment area, the dining room and fully-equipped kitchen are merged. 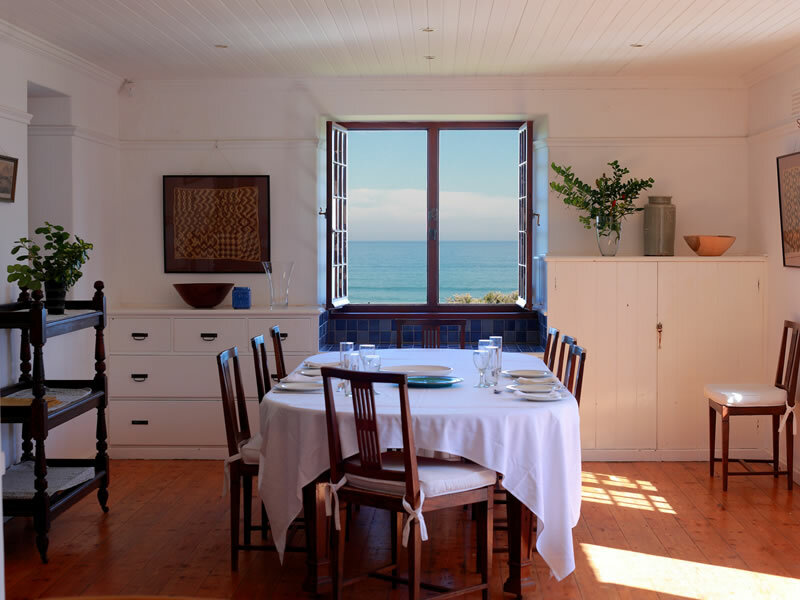 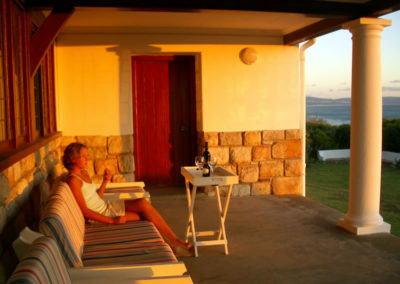 The view from the dining table is of the expansive Walker Bay curving away towards the horizon. 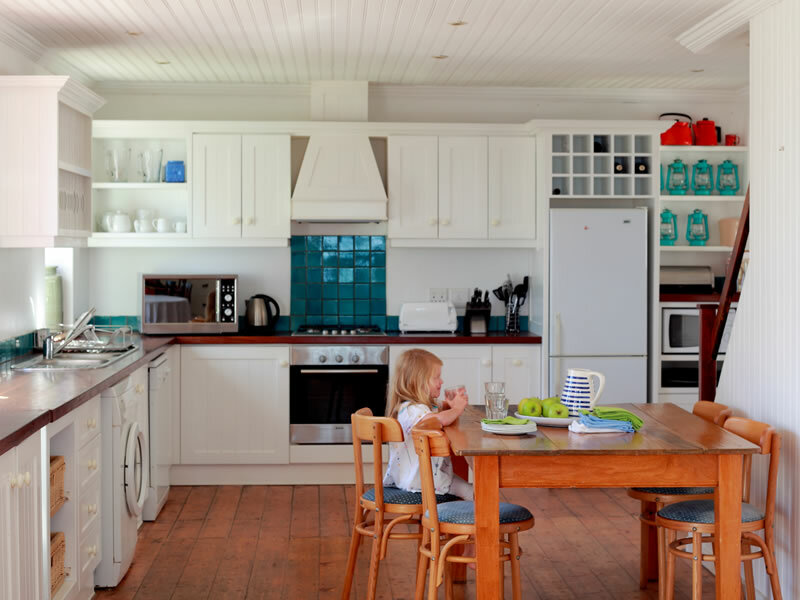 The thoroughly modern kitchen is specifically designed to assist the most experienced cooks and is stocked with a new hob, oven, dishwasher, washing machine and two fridges. 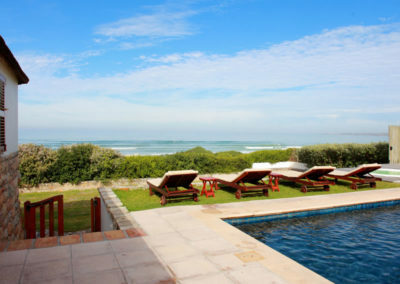 Combining the most modern luxurious facilities with a panoramic view of Walker Bay, La Gratitude’s fenced outside entertainment area includes a multi-jet, multi-functional Jacuzzi (all the better to enjoy the sunset spectaculars from), a child friendly pool, a 12-seater garden dining area and a built-in braai. 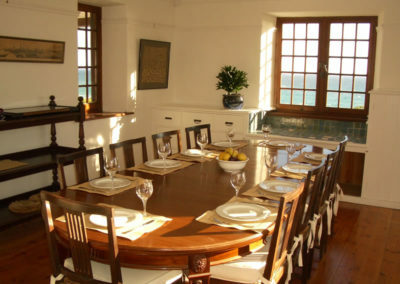 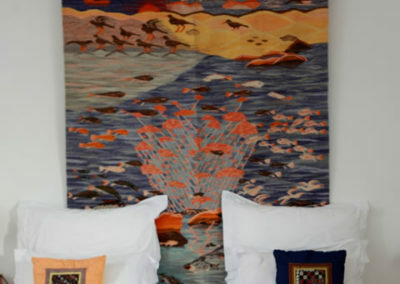 Ideal for every type of relaxed social gathering, including whale watching.